General contractors in Florida are required to follow two regulating bodies when it comes to workplace health and safety standards. 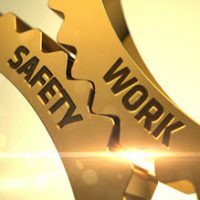 The Occupational Health and Safety Administration, also known as OSHA, is the federal regulating body that sets standards and ensures that employers are protecting their employees (i.e., construction workers) from workplace hazards. However, state-based labor laws addressing workplace safety standards also bind contractors in the state of Florida. As such, general contractors operating out of Florida must comply with both the federal and state regulations. Florida’s equivalent to OSHA is called the Occupational Health and Safety Program (OSHP). This agency is managed by the Florida Department of Health. The agency focuses on setting and enforcing health and safety guidelines to the employers of the state of Florida. Given the inherent dangers associated with the construction industry, its employers receive a large volume of communication from the regulators at OSHP. The agency looks into causes of work-related injuries, illness, and death and seeks to reduce those risks. The risks OSHP is interested in can be mechanical, biological and chemical in nature. One of OSHP’s primary goals is to regulate workplace health and safety through “surveillance.” When someone is injured on the job, OSHP is alerted and data is collected regarding the causes of the injury. OSHP monitors a host of workplace injuries including work-related hospitalizations, fatal workplace injuries, work-related amputations, work-related burns, work-related Musculoskeletal disorders, carpal Tunnel Syndrome in workers, etc. OSHP provides the appropriate measures to ensure that the injury does not occur at the worksite again. After those measures are taken, OSHP adds the data to its existing datasets with the aim of releasing it to the public. According to a safety release specific to the state of Florida, in 2013, the construction industry experienced one of the highest numbers fatalities. These fatalities were attributed to tasks involving the moving or transporting of materials such as heavy machinery. When OSHP discovers a gap, it increases its efforts by reaching out to employers with a goal of providing training and guidance to will help put an end to such harms. If a general contractor is strictly following the federal guidelines set out of OSHA, they can rest assured that they will comply with OSHP standards as well. This is because much of OSHP’s training materials and safety guidelines are lifted from OSHA federal directives. However, employers must know that there will be slight nuances given differences in state and local laws. That is why construction employers should stay abreast of both state and federal laws. Sweeney Law, P.A. is a well-known Florida construction lawyer with years of experience advising general contractors on federal and state occupation and health standards. Attorney Sweeney is here to guide you through any legal pitfalls that can arise during your project. Contact us now for a consultation.